How did you arrive at your very expressive signature method of drawing in space with previously used rebar? bronze, and then added sticks here and there for support. I liked the color and texture of the wax, and made pieces that were just wax and sticks, but they were always delicate. I wanted to work larger, and found that I could use the sticks alone and get a linear, gestural effect. I developed a technique of wiring the wood together by drilling a hole first, then pulling the wire tight with pliers. It was actually a tedious and annoying process; I constantly cut my hands, I wished that it could go faster and build in air. But I was happy with the raw, thrusting lines of the sculptures like explosions of motion. Placed outdoors, the sculptures dried and decayed. I spent a lot of time repairing them and it was depressing. I tried to think in terms of natural cycles, and decay being part of the piece, but that really was not my basic intention – I worked hard to make the sculptures a certain way, and I wanted them to stay that way, not become distorted through decomposition. So I decided to learn how to weld. A friend lent me a welder and I spent the summer learning how to use it and making my first welded pieces. I still was drawn to linear elements, and the sculptures have a strong relationship to the tree branch pieces. Once I got the hang of it, it was very freeing. Over the next few years, particularly during a residency at Sculpture Space in Utica, NY, I learned to use a cutting torch and began incorporating scrap metal. The use of industrial scrap added new forms and another layer of meaning to the work; I’m re-imagining animals, often endangered or extirpated, using the remnants of industry. Pieces of bridges, buildings, and machinery form seemingly living creatures. Presence and absence play back and forth in the sculptures: a network of steel lines builds the form, drawing and re-drawing the animal, creating tension like the sudden sighting of a wild animal. The surrounding environment penetrates the negative spaces between the lines of metal; the landscape itself is embedded in the work. I am most familiar with your elk, deer and wolves from the Coastal Maine Botanical Gardens, Somerby’s Landing and similar venues, but see on your website quite a range of wildlife including Cape hunting dogs, cheetahs and others. The gestures are so lifelike. I am guessing that you draw from life a lot. Where do you find your visual references? and the occasional zoo. I’ve done some research at national parks and wildlife rescue parks, and would like to build more travel to view wildlife into research for the work. At the same time, I don’t want to be utterly tied to reality and naturalism, but to use them as the basis for expression. Do you start with drawings on paper, or do you plunge in and “draw” in 3D? To make the sculptures I scavenge scrap yards and construction sites for evocatively shaped pieces of metal, looking for pre-existing lines and shapes with which to draw. Most of the metal is rebar, the reinforcement rod used in buildings, bridges, and highways. Pulled from the concrete for recycling it is tortuously twisted, with fantastic curves and shapes, and comes in a great variety of texture and thickness. Bent and twisted, such pieces contain energy and a potential new life. I collect loads in my pickup truck and drag it all back to my studio. (A large sculpture of 1000 lbs requires about 2,000 lbs of raw material). 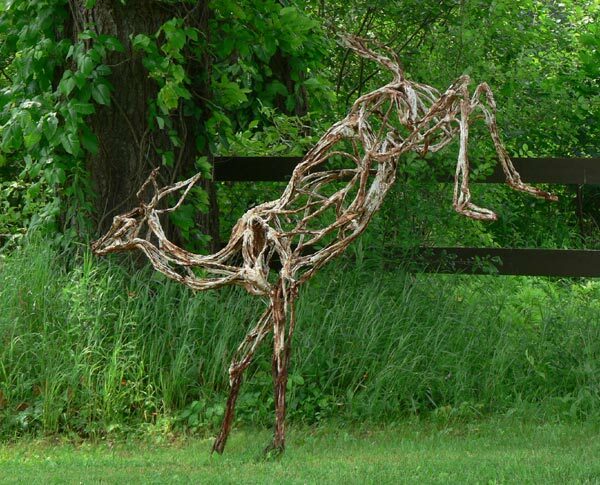 To begin a sculpture I have an idea of the type of animal it’s going to be, and a rough mental image of the gesture. I look for photos in books and on the web, and more and more take them myself. I draw from photos and from life to understand the motion. I put all those images up around me for reference as I work. I don’t work from an actual sketch/plan of the sculpture; the sculpture is the drawing. I weld a few pieces of rebar together to make a simple tripod to build off of. It’s very free form- I don’t measure, or draw it out exactly first. I work out a backbone, which helps determine the gesture, and then sketch loosely, welding steel line to line in the air. For the most part I choose pre-existing curved lines from my pile, and cut them free with the oxy-acetylene torch. If I need to adjust the curve I can heat and bend with the torch. Because the arc welder is immediate, I can tack-weld a steel line in place, step back and look, and if I don’t like it can twist it off easily. Usually the whole piece gets tack-welded in this fashion, and it’s only when I’m pretty sure about everything that each section gets welded thoroughly. Because it’s not a solid form all the connections have to be strong, so I spend a lot of time on the final welding to make the piece able to survive transportation and installation. As far as I know I was always interested in animals; I can’t remember a time when I wasn’t. The first drawing I made was of (some kind of) an animal. The horse was my major obsession, but anything else in the animal world was of interest as well. I spent most of my time looking at animals, in books, TV, and in real life. I drew them constantly. I played with them, and spent a lot of time trying to be one. I acquired as many real live animals as I could. I rode horses at every opportunity, but was never able to own one. As a child my animal obsession led me to hours of watching, drawing, and fantasizing. When I began making sculpture as an adult I developed these mental images in three dimensions. I had spent several years trying to make abstract paintings in art school and after, thinking that was a more sophisticated pursuit, but I was always making small animals in wax and clay on the side. As I struggled more and more with my paintings, I gradually allowed myself to concentrate on the sculptures. A residency at an art colony precipitated the focus, as I found myself alone in a white room wondering what to do. I think I turned to the sculptural image to create a presence that was missing. A presence where there was absence. Animals, even more than humans, express themselves through body language. My sculptures use the body language of animals to express a feeling or state of being, with motion conveying emotion. Finally, I think the inspiration and the idea of the work is simply about what it is to be a living being, what it feels like. Though I work with images of animals, I believe the feeling and emotion of the work is shared by humans- we are ultimately all animals on this planet together. When you were in the Somerby’s Landing show in Newburyport I had to ask you to round off the sharp points you had given the elk’s antlers. We were just starting up that little sculpture venue and city officials were a bit paranoid about public interactions and liability. I felt badly at this infringement on your creative freedom, but I wanted the piece in the show. Obviously it worked out well in the end, since they bought Elk for the city. Have you been asked to make adjustments for safety reasons before or since? Surprisingly, so far I haven’t often had to make changes for safety reasons. Mostly I’ve had to deal with the issue of securely installing the piece so it won’t get knocked over, which can be difficult with some of the leaping, gravity-defying things I attempt. 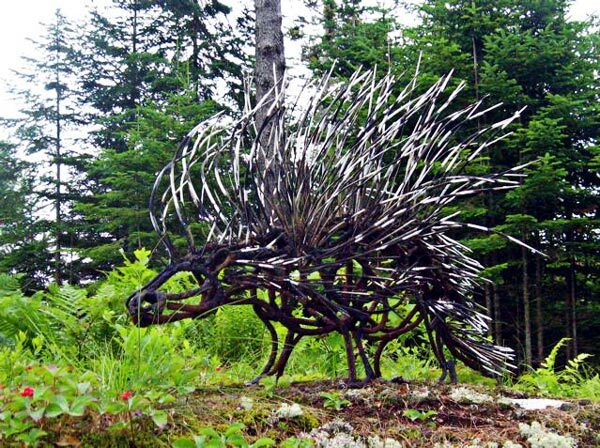 But perhaps pieces of mine have not been chosen by public sculpture committees because of the jagged edges and the spikes, nails, and sharpened antler tips; one doesn’t usually know why one hasn’t been selected. I love the viciousness of your chained hounds and the forcefulness of the three-headed Leader of the Pack. 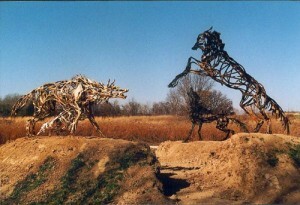 The idea of using fragments as visual metaphors – to make the hounds appear to be breaking right through a wall, and to represent the ultimate in Type A behavior is effective and sets these pieces apart from romantic depictions of animals. Do you have more ideas along these lines? Yes, I do plan to investigate more work along these lines, but since it’s not formulaic I’m not sure what the next thing will be. There’s an element of the idea of myth, and also a surrealistic aspect, but I don’t necessarily feel I can select a mythical beast from the lexicon and just make that work. It needs to be a personal invention. With the Chain-Hound I was looking for a new way to make a sculpture, and I thought of building it out from the wall instead of starting on the floor as usual. I drilled a hole in my plywood wall, stuck a piece of steel in it and attached the welding ground clamp, and just started building off it. I guess because it was coming from the wall that allowed me to think of a truncated form emerging. As the piece developed I attached a chain simply to hold it up. I thought it looked over the top and planned to remove it. The next day I saw that the chain really made the piece. All the associations of gargoyles and myth came after the fact; they were subconscious at the time I was making it. After the first one I made a group of them, in which the decisions were much more deliberate. Leader of the Pack was a more conscious attempt to make something mythical and aberrant. I feel that these works have an unexpected, visceral, and even abstract element different from more straight representations. 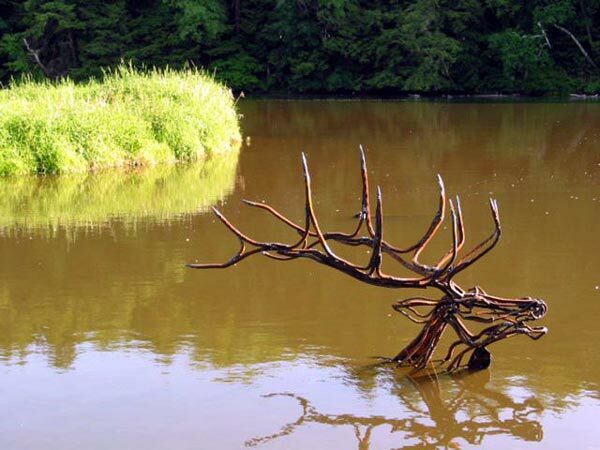 The elk swimming in the water (River Elk Installation, 2004) has a bit of that quality as well. The water provides an environment, and by truncating the body also abstracts it, integrating the landscape and leaving something to the imagination. The site transforms the piece by having the animal merge/emerge with and from it. What proportion of the sculpture venues you have shown at offer stipends and how often do shows result in sales? I notice that some venues purchase groupings, which enhances the viewers’ experience since dramatic prey/predator and spatial relationships are involved. At this point I try to make sure I get at least some money to be in an outdoor show that’s going to keep the work for a while. Often it doesn’t really cover the costs, but at least it feels a little better. On the other hand, with some places that I’ve shown for many years and have a relationship with I try to keep coming up with a piece even if there’s no money. Sales resulting from an exhibition really seems a crapshoot. It’s very unpredictable. 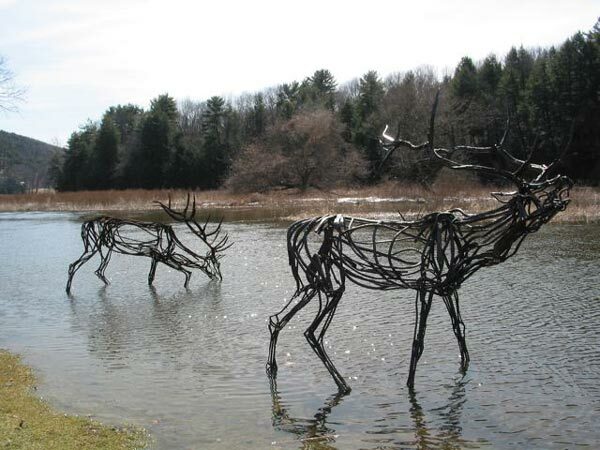 I found that exhibiting in the Berkshires (at Chesterwood and with Sculpture Now) was good because often the people who looked at art had second homes there with a fair amount of property calling out for a piece of outdoor sculpture. 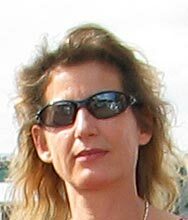 In 2005 I began exhibiting with June LaCombe (after you suggested I contact her), and she has been really remarkable in promoting my work. She has a great rapport with her clientele in Maine. 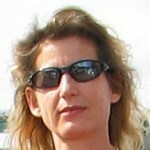 Her focus is on the connection between outdoor sculpture and nature, the relationship between object and place. 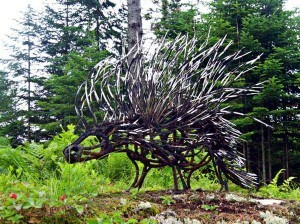 She organized two solo shows for me, Coastal Maine Botanical Gardens in 2009, and Main Audubon in 2010, in which I was able to show over 20 large sculptures spread over many acres, singly and in groups, thoughtfully sited to respond to the landscape. You have been experimenting with smaller sculptures in bronze, wax, & resin. Also filling with aqua resin. How has the response to these differed from response to the rebar-only sculptures? The response is often quite different with the small pieces, particularly the ones in wax and resin. People who are really attracted to the scale and linear fluidity of my steel pieces sometimes seem taken aback by them. On the other hand, people who have a “seen it before” attitude about the large steel work sometimes find these small colorful pieces more unusual, and are intrigued by the intimacy and painterly qualities of wax and resin. Some people respond to both. The use of Aqua Resin (I’ve now switched to Marine epoxy with filler for outdoor longevity) to coat some of the large sculptures has usually drawn a very positive and visceral response. The pieces stand out much more, and there is a mysterious quality as to what it is actually made of; they can have a ghostly, skeletal feel, while still being visually bold. I’ve been working with animal imagery for a long time, and have often felt out of step with whatever was hot or cool in art at the time. I’ve questioned what I’m doing constantly, but always been drawn back because it is interesting to me. Now I see animal imagery cropping up everywhere in contemporary work (albeit often in the form of taxidermy). It seems that nature is finally getting its due, and can be considered a relevant topic at last. This entry was posted in creative living, Interviews, process, sculpture and tagged contemporary art, environmental art, public sculpture, sculpture, wall sculpture, Wendy Klemperer. Bookmark the permalink. Post a comment or leave a trackback: Trackback URL.